A National Police Certificate (NPC) contains a list of a person’s disclosable court outcomes and pending charges from all Australian police jurisdictions. This includes traffic and non-police prosecuted matters. National Police Certificate online form. Applications for a WA Police Force NPC also include a request to spend any eligible WA convictions. For more information on spent convictions, please visit Spending a Conviction. Applications can be made online or in person at participating Australia Post outlets. Online applications include online payment, ID verification and digital delivery. Applications that do not require any further investigation can be completed within an hour. To apply online, click the button below. The National Police Certificate application form will open on an external website, as pictured. Alternatively, in person applications can be made at a participating Australia Post Outlet which require a 100 point ID verification. In person and online applications that require further investigation may take up to 10 business days to be finalised. Online applications resulting in disclosable court outcomes and/or pending charges being listed will only be issued a hardcopy certificate. In circumstances where a hardcopy certificate is issued please allow an additional 3 – 6 business days for postage. If your application was made more than 15 business days ago, if you are experiencing problems submitting an application or if you have received your certificate and wish to report an error, please contact us..
For more information, please see the NPC FAQ's or Guidelines. What is a National Police Certificate? When do I need a National Police Certificate? Applicants must provide original proof of identity based on a 100-point identity check. This Certificate is only available to registered volunteer organisations for use within Western Australia. 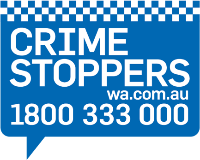 Contact us about WA National Police Certificates including information about your application. Fees charged for Information Access products are legislated through the Police (Fees) Regulations 1981. Need some more information? Find the answer you're looking for in our National Police Certificate frequently asked questions.